The Raspberry Pi (RPi) is a great strong device to play with. It is definiately not the perfect gadget to run resource hungry IDE, and develop c, c++, web… or Java applications on. Use your own laptop or desktop computer to build your code, test it and debug it while the code is running on the device. 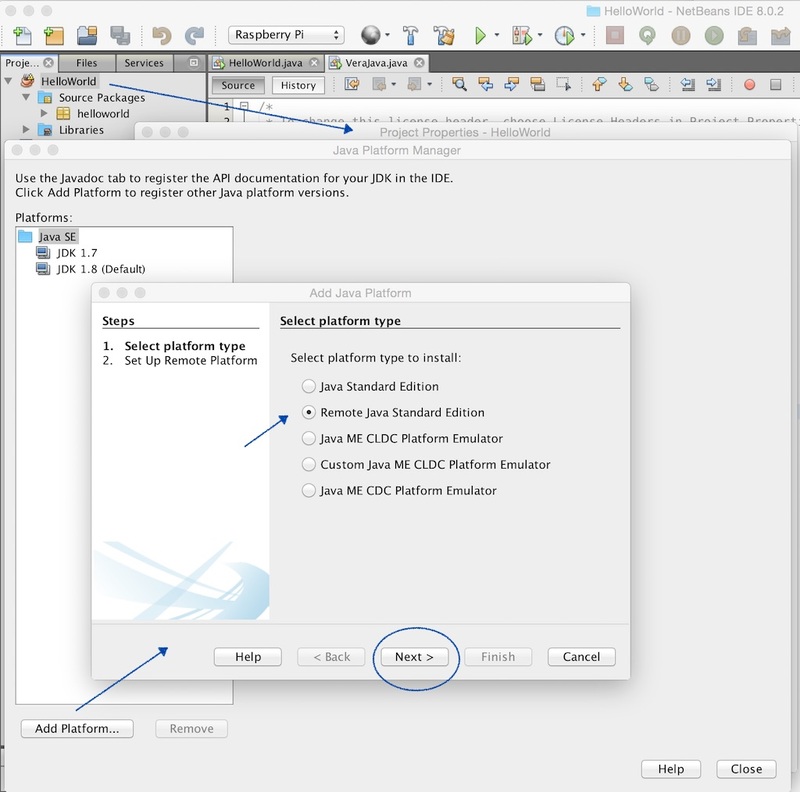 NetBeans for Mac (and Windows) is a reliable IDE with remote testing and deployment options. 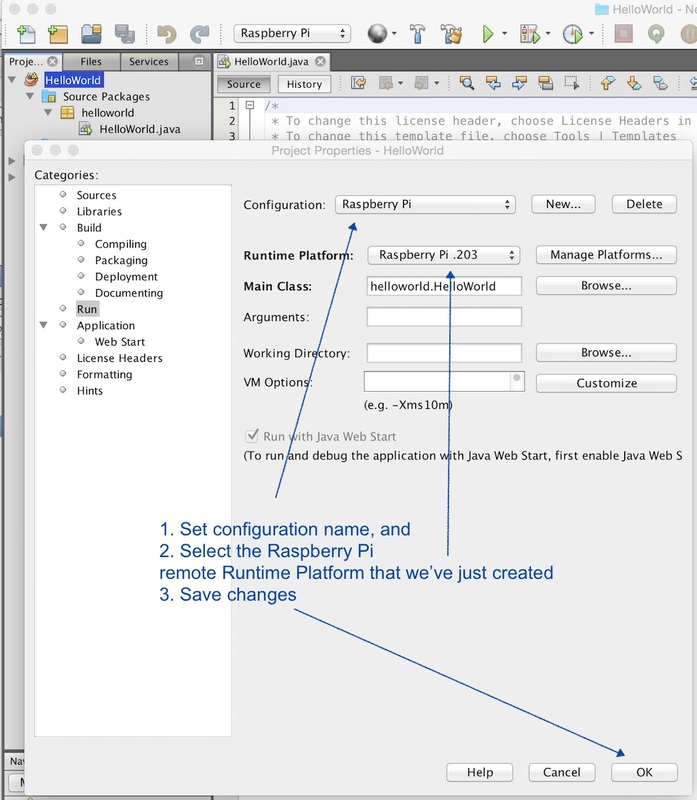 The guide is based on Mac (OS X), NetBeans 8.0 java project, and Raspberry Pi with Raspbian. C or c++, web… etc. projects can be tested and deployed the same way. It’s highly recommended. You likely have an Internet access. Configuration guide is available here. Configuration guide is available here. – Select Remote Java Standard Edition. Click on Next. 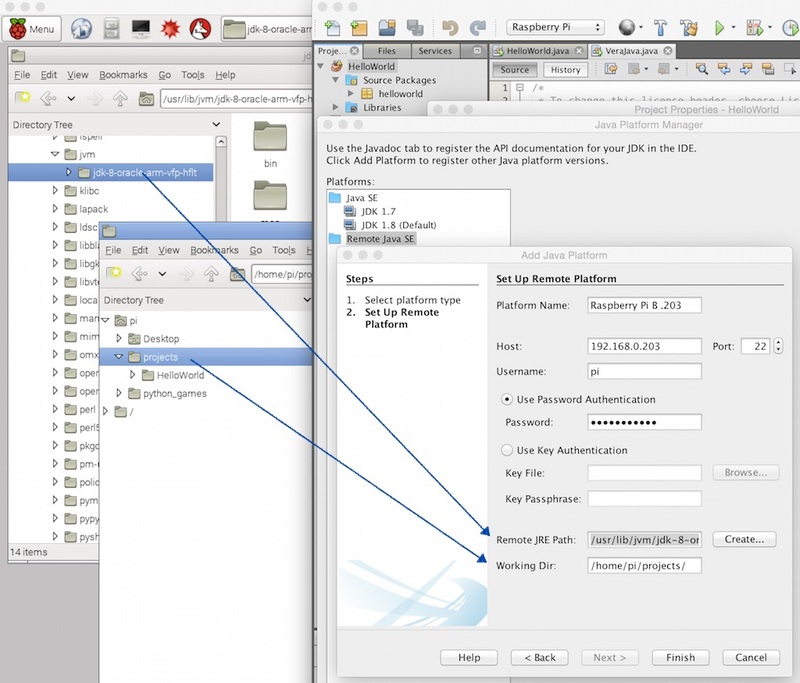 – Type in your platform name, RPi ip address, SSH port number (22),user name and password. 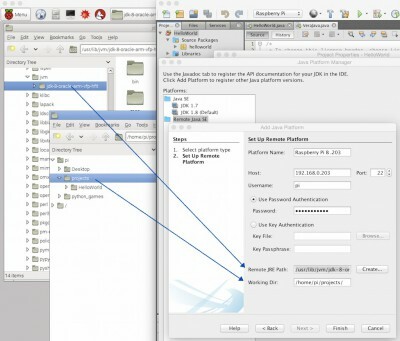 – Open your Remote Desktop for Raspberry Pi or use your RPIs monitor, mouse and keyboard to find and note the name of your project folder and java installation folder. For example: /home/pi/projects and /usr/lib/jvm/jdk-8-oracle-arm-vfp-hflt. 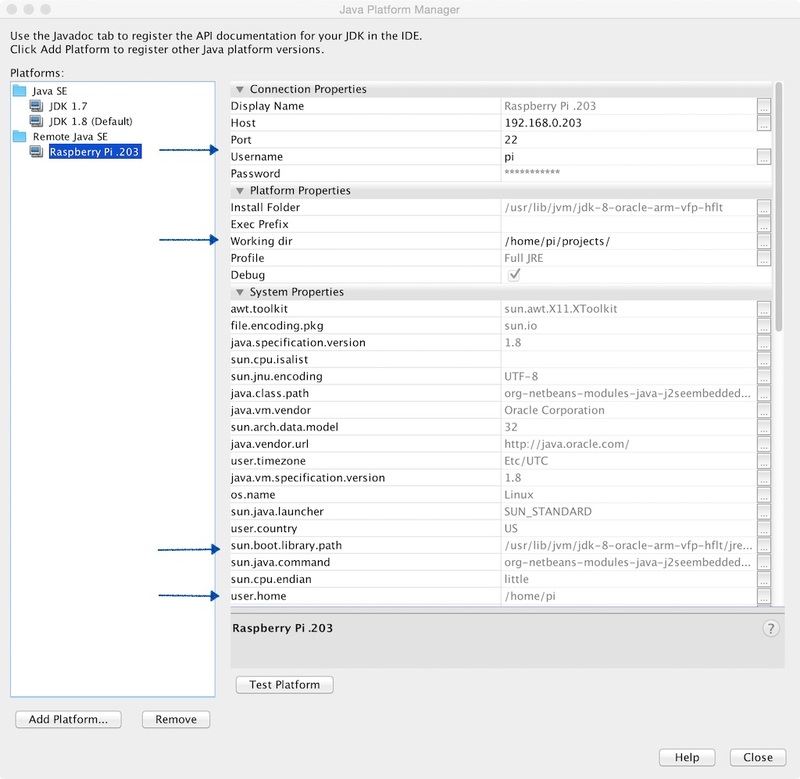 Type in folder names into Java JRE Path and Working Dir text fields. – Click on Finish. If the new remote platform and the Raspberry Pi is properly configured then you can see a success message in the NetBeans Console. 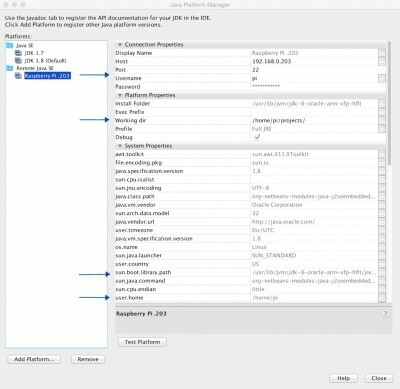 Check out the new Remote Java SE platform configuration. – Close the Java Platform Manager. – In the project Properties dialog select Run category. Give a unique configuration name. 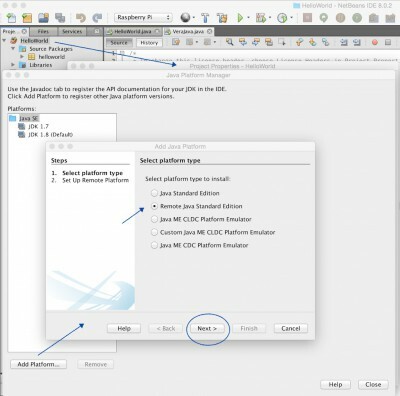 – Select the newly created remote platform from the Runtime Platform list. – We are ready. Debug your application while the code is running on the device. Run your project. The project destination folder – for example HelloWorld/dist – will be deployed on the Raspberry Pi.